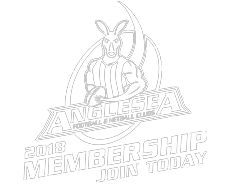 Anglesea Netball Club Senior Trials – For ALL Senior Players | A grade – E grade & Under 19s and anyone 14 & over interested in playing in season 2019! 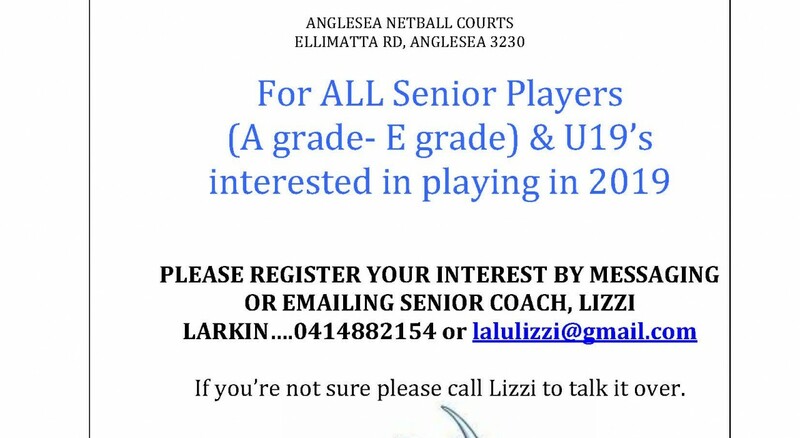 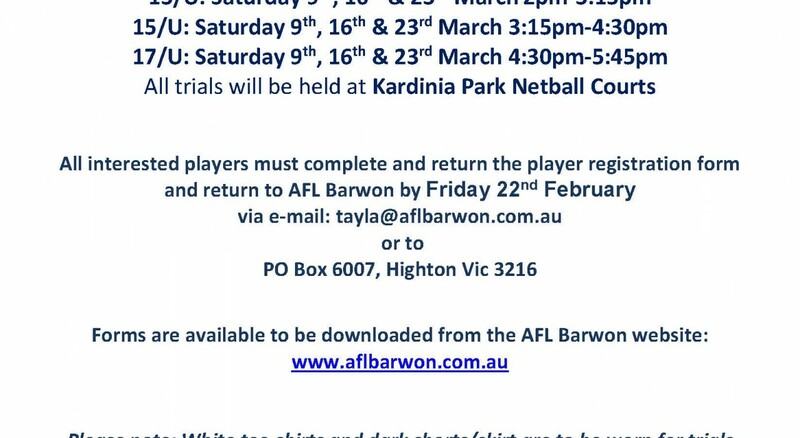 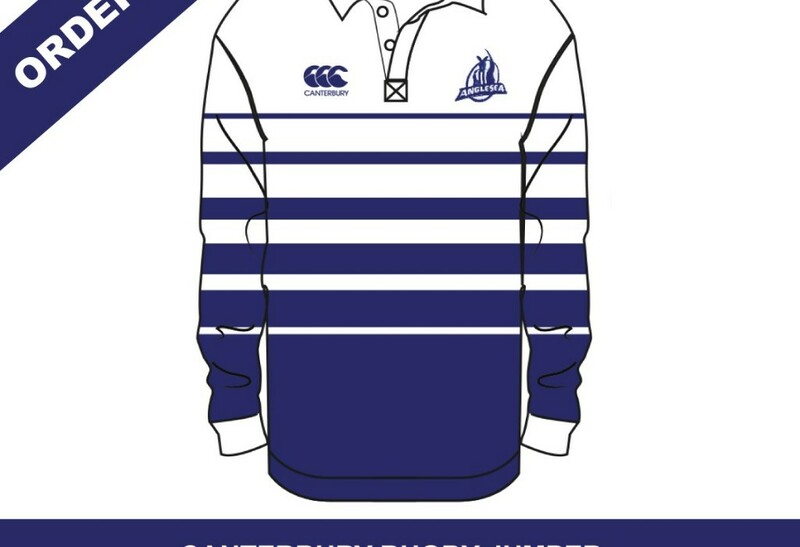 Register your interest by txt or emailing Senior Coach Lizzi Larkin 0414 882 154 or lalulizzi@gmail.com. 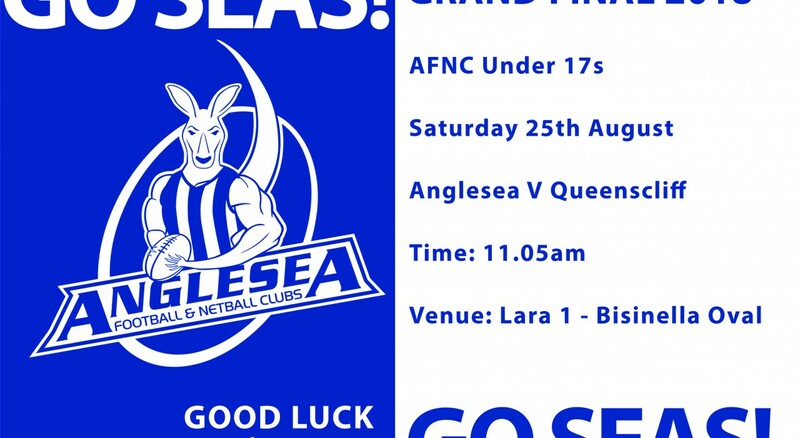 Good luck to the Under 17 boys for the GRAND FINAL! 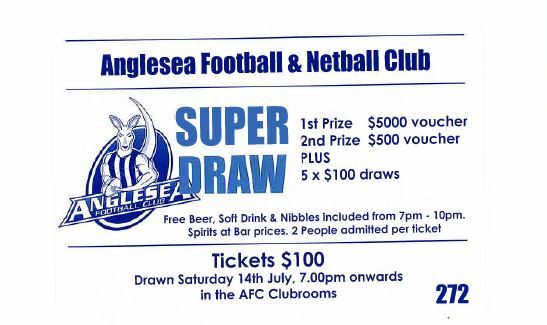 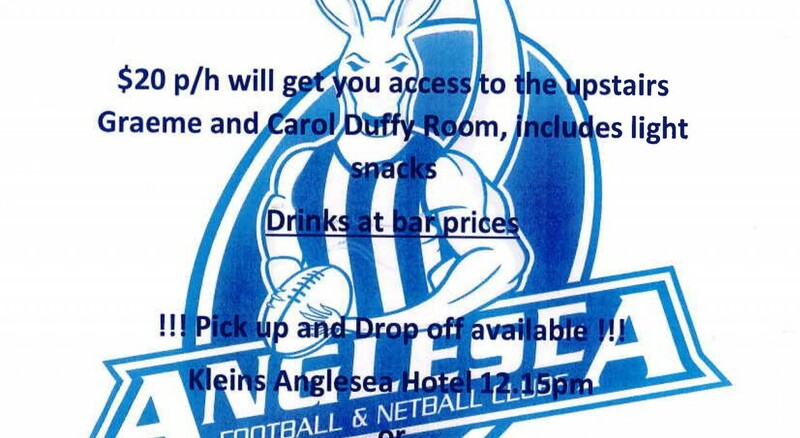 Hoping to see all the Anglesea Football & Netball Community there to cheer them on.